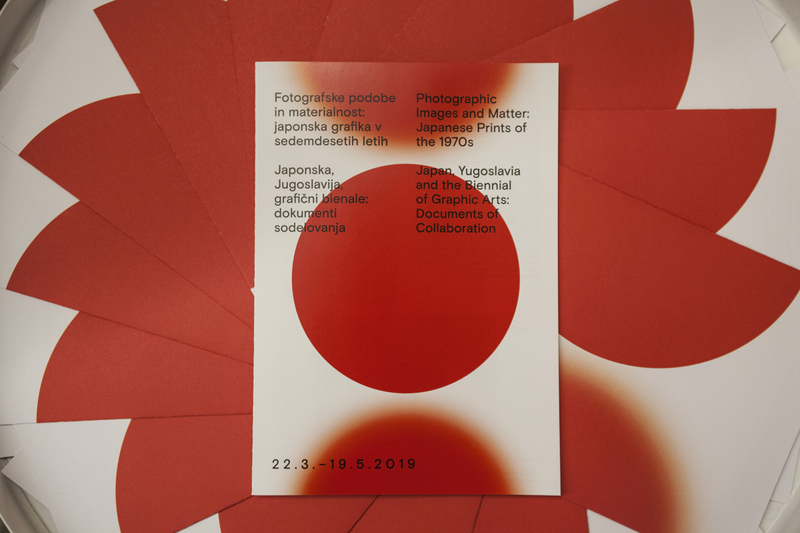 The 31st edition of the Biennial of Graphic Arts, Ljubljana, titled Over you / you, explores the sociopolitical characteristics associated with the graphic arts, particularly in relation to reproduction, publicity and community. This year’s edition – as befits a biennial which was the first to encompass all printmaking techniques – includes stone lithography, large-scale woodcuts, etchings, screen-prints, posters and artist’s books. It also opens up a conception of the graphic arts beyond traditional definitions, to encompass a sculpture floating through the city by river, streetlights in a park, historic drawings transformed to kinetic machines, and experimental school programmes. The title Over you / you makes reference to an unresolved tension between contrasting states of identity, while also implying the possibility of coexistence. 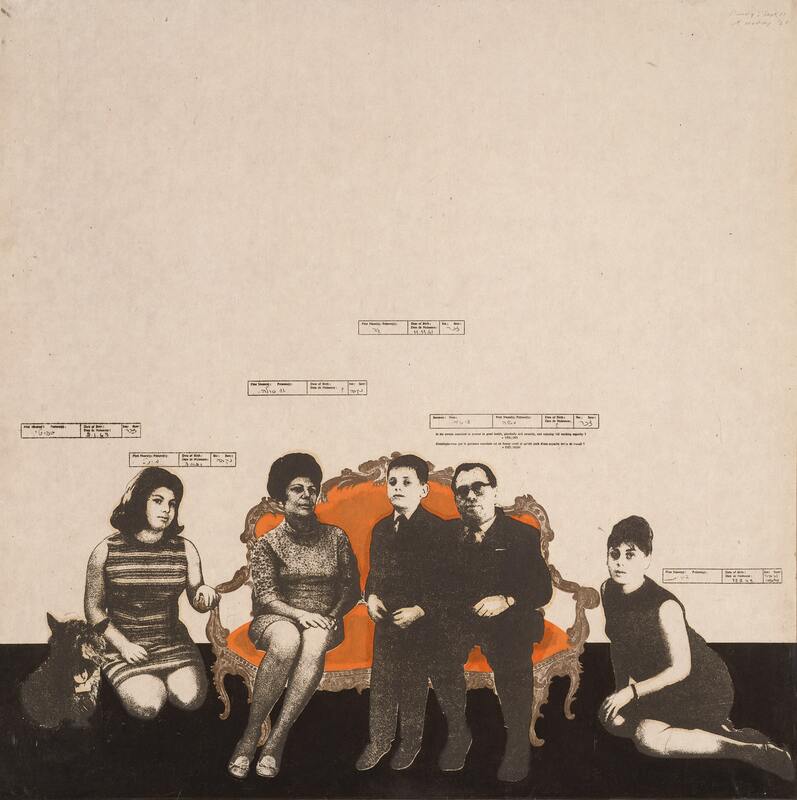 Itself a graphic image and an unstable proposition, the title reflects a tendency on the part of the exhibition as a whole to create a discourse around attributes of graphic art such as diffusion, repetition and distribution. Unique objects and singular narratives are thus less in evidence in the show than facsimiles, procedures of mirroring, prototypes, imperfect copies and immaterial forms. 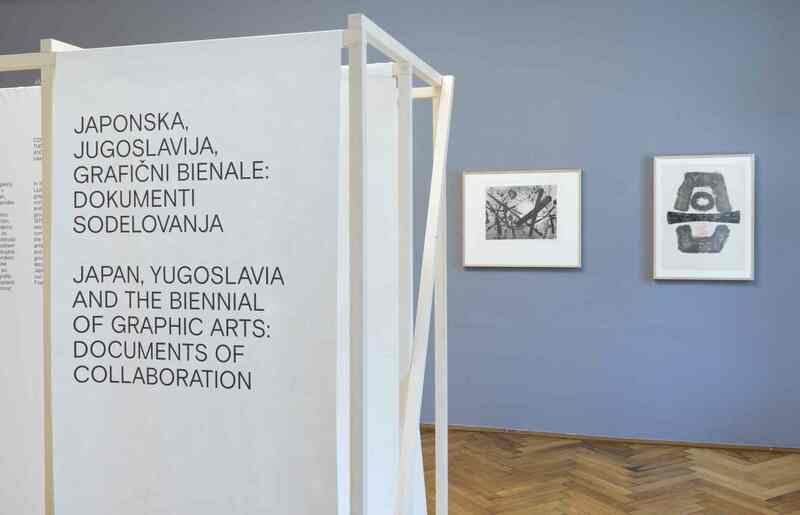 The main exhibition brings together over 40 artists who work in a multiplicity of ways, and includes new commissions, older works, exhibition design, redeployments and re-contextualization of publicity materials and literary artefacts, as well as presentations that bring motion into the galleries and across the city of Ljubljana. 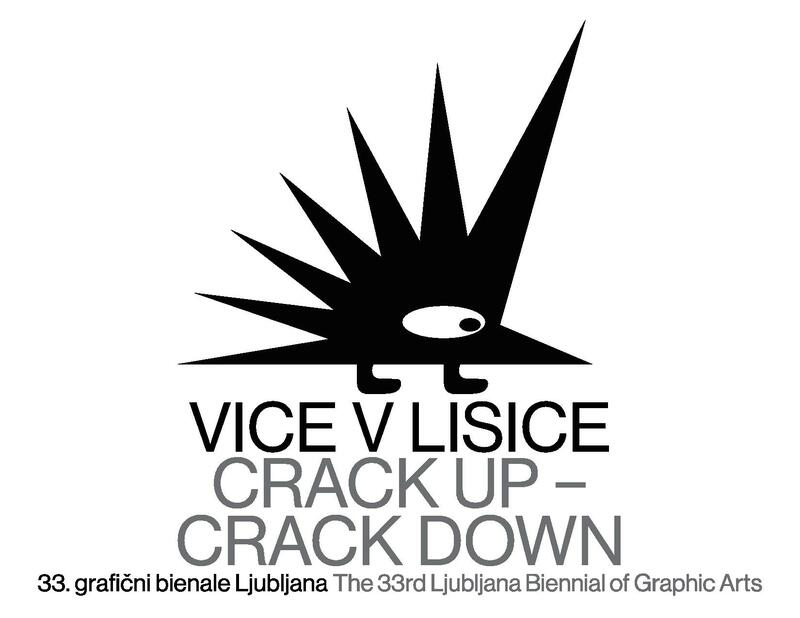 The 31st Biennial of Graphic Arts, Ljubljana consists of the main exhibition Over you / you curated by Nicola Lees with associate curators Stella Bottai and Laura McLean-Ferris, on display at the Moderna galerija, the International Centre of Graphic Arts (MGLC), Tivoli Park, Galerija Kresija, Jože Plečnik’s National and University Library and Galerija Jakopič. Vladimir Vidmar curates a solo exhibition by Becky Beasley at the Galerija Škuc and María Elena González (award winner of the 30th Biennial of Graphic Arts) will be on display in the Gallery of Cankarjev Dom curated by Božidar Zrinski. in 1993 made multiple stenciled paintings of a mass-produced plastic toy cat as an emblem of post-Soviet capitalism. Two large-scale photographic portraits by Braco Dimitrijević can be seen around Ljubljana for the duration of the Biennial, each featuring a headshot of an anonymous individual from the city. One portrait is positioned on the exterior of MGLC, and the other is on Mahrova House, close to the Dragon bridge. These form new additions to Dimitrijević’s historically important series Casual Passer-By, which the artist has been making in cities across the world since 1969. Along Plečnik’s promenade in Tivoli Park, Will Benedict installs a series of 120 posters exploring ways in which viewers psychologically internalise images of the environment and read them emotionally, politically and otherwise. For There is no east or west, Asad Raza alters the Plečnik street-lights in the centre of the promenade to flash in a sequence through the night, evoking the blinking lights on a distant shoreline, horizon or cityscape for the duration of the Biennial. At the top of the promenade, Raza, together with D. Graham Burnett and Jeff Dolven, is holding an experimental project, Schema for a school. Ljubljana 1955, Giles Round reconfigures works from the Biennial’s archive, including The Overall Oooh, an audio work by Cally Spooner which ushers the audience through the exhibition. Vladimir Vidmar curates Becky Beasley Sleep is when you grow, a series of printed posters depicting a sculpture made by the artist that was inspired by the work of Carlo Mollino, whilst simultaneously tracing a love story. María Elena González is the recipient of the Grand Prix, the Biennial’s main prize, for her series of works entitled Tree Talk exhibited at the 30th Biennial of Graphic Arts in Ljubljana (2013). The award-winning series in the artist’s solo exhibition displayed in the Gallery of Cankarjev dom is supplemented with her latest production made especially for the Ljubljana show. María Elena González is actually a sculptor who uses innovative ways to expand her projects into the field of the graphic arts, music composition and performance. The exhibition Tree Talk: Forest stems from the author’s inspiration when faced with a fallen birch. She flattened the bark of the birch with its specific structure, produced a series of drawings and etchings, and then scanned the furrowed patterns and had them laser cut into rolls for a mechanical piano (pianola). The exhibition features the latest drawings, etchings, fine art prints, a video projection and rolls for the mechanical piano, which reveal the artistic process and fascination with the forms that the artist encountered in nature. In cooperation with local musicians, a part of the exhibition is also a musical event, where visitors can listen to and hear the music of the birch trees. The scores, which are full of phrasing, polyphony and rhythm, are surprisingly modern for today’s times. Since 2013, Nicola Lees has been the curator for Frieze Projects, the annual not-for-profit programme featuring artist commissions, film, and music at Frieze London. Nicola was previously Senior Curator of Public Programmes at the Serpentine Gallery, London, where she oversaw interdisciplinary, time-based and performance projects, artist commissions, initiating Park Nights and the Serpentine Cinema series, and realizing the Serpentine Gallery Marathon (co-curated with Hans Ulrich Obrist). In 2007 she curated the exhibition ‘Left Pop Bringing it Home’ at the Second Moscow Biennale of Contemporary Art and worked on key solo exhibitions by Alex Katz, Miroslaw Balka, and a group exhibition with Philippe Parreno at the Irish Museum of Modern Art. Opening: Thursday, 12 May, at 6.30 pm. On view from 13 May till 21 August 2016. The print Accident by Robert Rauschenberg held a special position at the 31st Biennial of Graphic Arts, particularly as part of the exhibition by Giles Round, Ljubljana, 1955. Rauschenberg's failed process from 1962 (when he was experimenting with printing techniques using plates from newspapers and his lithographic printing stone cracked) became the model for the Ljubljana exhibition and plays an even greater role in the Répétition exhibition, which is conceived as a reprise of the 31st Biennial of Graphic Arts. The Répétition show, prepared by curators Asad Raza and Nicola Lees, is conceived similarly to the exhibition Over you/you, as a circulatory system by which images, objects, and bodies move through the Villa Empain. The exhibition explores the distribution of graphic art across national and ideological boundaries, focusing on the productive power of accidents. A historic collection of works from the Ljubljana International Centre of Graphic Arts, including Rauschenberg’s lithograph, has been selected by artist Giles Round and brought to Belgium for the first time. The exhibition’s hosts periodically reinstall the collection along with the works by artists Sophia Al-Maria, Becky Beasley, Will Benedict, Andrea Büttner, Shannon Ebner, Konstantin Grcic, Joana Hadjithomas & Khalil Joreige, Sanya Kantarovsky, Heinz Peter Knes, David Maljkovic, Radenko Milak, Anna Ostoya and Roman Uranjek, leading to unpredictable collisions and juxtapositions. The selected artworks move around a mise-en-scène of sculptural and cinematic contributions by Abbas Akhavan, Nairy Baghramian, castillo/corrales, Mike Cooter, Dexter Sinister, Latifa Echakhch, Deanna Havas, Ištvan Išt Huzjan, Hilary Lloyd, Jumana Manna, Otobong Nkanga, Lydia Ourahmane, Zin Taylor and Erika Vogt, extending the range of sensory experiences proposed by the exhibition. Works on loan from the MGLC Collection, including: Karel Appel, Jim Atlan, Getulio Alviani, Max Bill, Danilo Jejčič, Kosuke Kimura, Lojze Logar, Roberto Matta, Ivan Picelj, Robert Rauschenberg, Gino Severini, Tinca Stegovec, Edvard Zajec among others. 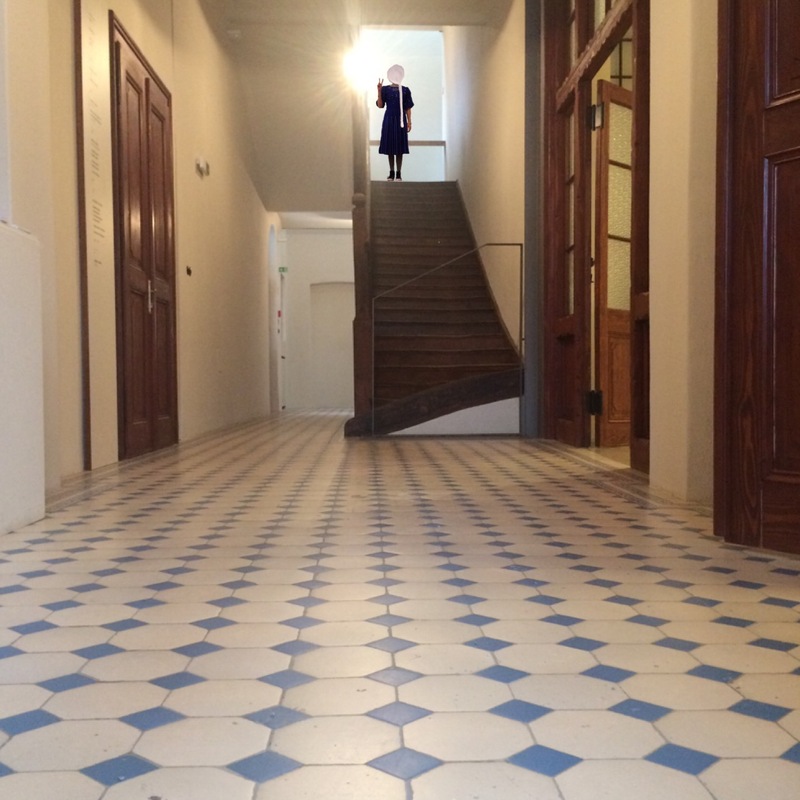 Boghossian Foundation The exhibition also hosts a parallel project: periodically weaving in and out of Répétition, choreographer Andros Zins-Browne will perform Already Unmade, a new work conceived especially for the Villa Empain. The Boghossian Foundation was created in 1992 by Robert Boghossian and his sons, Jean and Albert, Lebanese jewelers of Armenian origin. The Foundation realizes social and educational projects in Armenia, Belgium, Lebanon, and Switzerland. In 2006 they began restoring Brussels’ historic Art Deco mas­terwork, the Villa Empain. 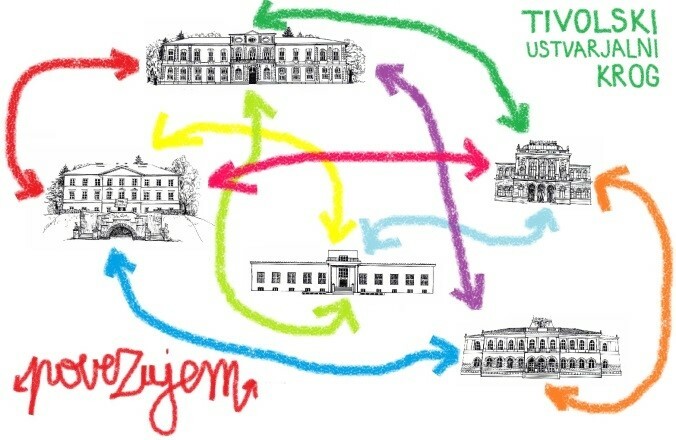 In 2010 the Foundation opened the Villa to the public as a center for art and dialogue between East and West. Since December 2015, its team has been led by Ralph Boghossian, Asad Raza and general manager Louma Salamé.